Two-stroke oil (also referred to as two-cycle oil, 2-cycle oil, 2T oil, or 2-stroke oil) is a special type of motor oil intended for use in crankcase compression two-stroke engines. It is premium quality non-ash forming two-stroke motor oil. It is an SAE 40 oil which is pre diluted to SAE 20 for rapid mixing with petrol. Unlike a four-stroke engine, whose crankcase is closed except for its ventilation system, a two-stroke engine uses the crankcase as part of the induction tract, and therefore, oil must be mixed with gasoline to be distributed throughout the engine for lubrication. The resultant mix is referred to as premix or petroil. This oil is ultimately burned along with the fuel as a total-loss oiling system. This results in increased exhaust emissions, sometimes with excess smoke and/or a distinctive odor. 2T Engine Oil is low smoke semi-synthetic two stroke engine oil developed to meet the critical requirements of 2 stroke engines manufactured by all leading auto makers. It is blended from selected virgin base stocks and special proven additives to minimize spark plug fouling and pre-ignition, prevent rusting, minimize deposit formation and provide protection against seizure, scuffing and wear. It is specifically formulated to give additional advantage of lower consumption of fuel. It contains a diluent for easy mixing with gasoline and is dyed green for easy identification. Comparing regular lubricating oil with two-stroke oil, the relevant difference is that two-stroke oil must have much lower ash content. This is required to minimize deposits that tend to form if ash is present in the oil which is burned in the engine’s combustion chamber. Another important factor is that 4-stroke engines have a different requirement for ‘stickiness’ than 2-strokes do. Since the 1980s different types of two-stroke oil have been developed for specialized uses such as outboard motor two-strokes, premix two-stroke oil, as well as the more standard auto lube (motorcycle) two-stroke oil. The purpose of 2 stroke oil along with its 4 stroke cousin is directly, lubrication of vital internal engine components. 2 stroke lubrication is delivered via 2 main processes that are inherently different from 4 stroke lubrication, resulting in a ‘total lose’ of the oil it uses to lubricate to the atmosphere after it has been burnt via the combustion process. Prelube, where the 2 stroke oil is delivered to the required components at predetermined volumes and feed rates via an adjustable pump and oil tank. The oil does end up mixing with the fuel to be burned away exiting the exhaust system with the exhaust gases. Some 2 stroke engines run contained oil systems that circulate the oil through the main bearings via a pump and retrieve system. These are very uncommon in the motorcycle industry. Both systems have their benefits and faults. The down side is one need to mix the oil with the fuel which can lead to incorrect fuel/oil ratios being mixed resulting in catastrophic affects to the engines internals and possible injury to the rider. Refueling can also be a problem, particularly for road going motorcycles as one needs to carry oil and be able to mix the correct value to the inaccurate fuel pump delivery at the bowser. The auto lube system has been designed for 2 stroke engines that are predominantly road going vehicles which prefer longer stints between fuel stops and filling of their 2 stroke oil reserves. 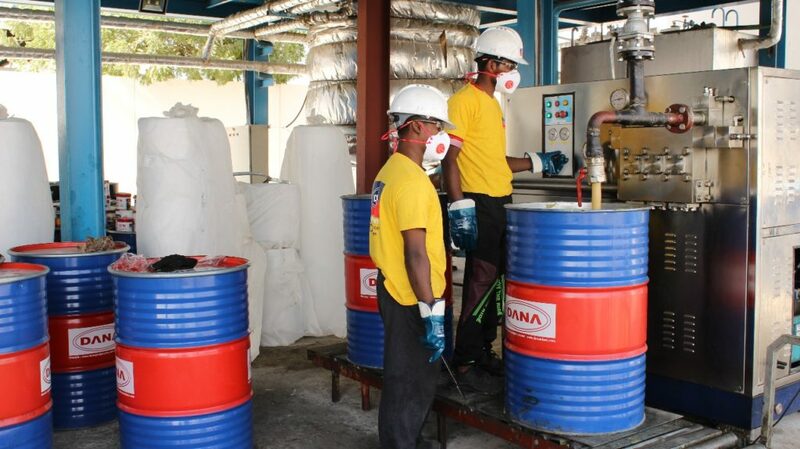 Convenience is one of the main positives of a prelube oil mixing system. Complete elimination of mixing complexities and human error. The negative side of the auto lube system is the unforeseen mechanical failures, incorrectly adjusted oil pumps and human laziness of not filling the oil tanks. All will end in tears and a long walk home will be had as these types of setups tend to travel further from the pits or home. Generally if the system is maintained, and the oil tank regularly filled, can give years of trouble free operation. Vegetable oil, or castor oil are naturally derived plant based oils that have been used forever and a day. They were very popular with racers using Methanol due to its ability to blend totally with the vegetable based fuel. These oils have good lubrication ability when blended at high oil to fuel ratios e.g. 20:1 and even higher in petrol, although its inability to stay blended is a less than desirable attribute. The vegetable based oils also have what is termed as ‘high cling rate’ for high revving engines such as karts and smaller capacity motorcycle engines. Due to the high volume of oil and its natural viscosity it tends to stick to the bearing and piston skirts at extreme rpm (15,000 +) fending of centrifugal force effects and aiding in heat dispersion. The down side is it can be responsible for fouled spark plugs, excessive smoke and combustion deposits which can lead to engine damage if the internal carbon isn’t serviced regularly. The high oil usage can also reduce RPM, alter the octane rating and burn rates of the fuel mixture due to the shear volumes traditionally used and with the added bonus of raising the cost of the racers oil bill. The effects of over oiling when using this types of oil with the recommended oil/fuel ratios is not recommended for engines with power valves. These 2 stroke oils are derived from natural mineral crude oil reserves that are then cleaned from various containments with various complex cleaning and filtration systems. 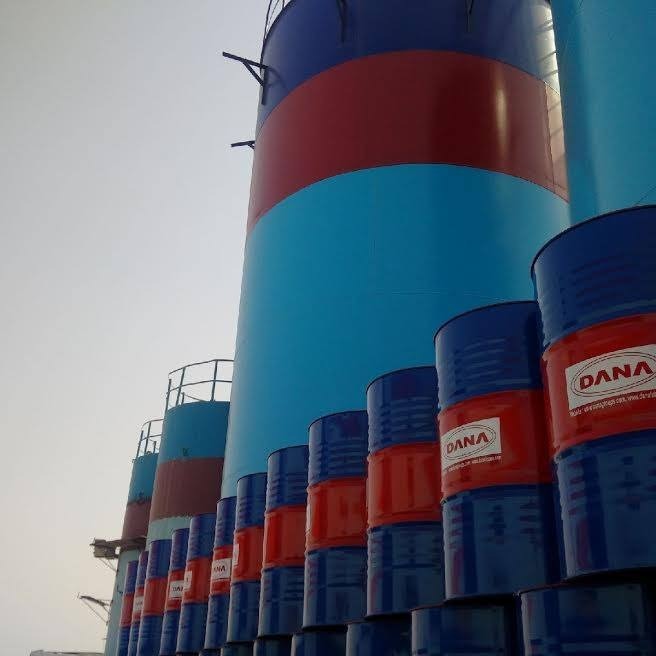 The base quality 2 stroke mineral oils are usually derived from poorer quality crude oil which generally contains more hard to remove containments. This is the area which 2 stroke oils start to differ from 4 stroke oils, Fuel blending additives combined with other various additives to improve combustibility and lubricating qualities are added to the base line crude which can be sometimes be a derivative of reclaimed engine oils from various market places in poor quality blends. The quality is generally agreed to be adequate for the designed purpose. The low revving older style of trail, farm and early scooter engine can run all day on these oils although there emissions are generally worse than more advanced 2 stroke oils. The modern full synthetic 2 stroke engine oil as it is commonly termed has come a long way in the last 5 years or more. Newly designed polymers, biodegradable inclusions, detergents and additives that have surpassed previous lubricating qualities now have other identifiable traits, such octane enhancement and stabilization, gas producing compounds to further enhance combustion creating nearly smoke free emissions. The quality burn and lubrication allows for fuel/oil ratios for some production motorcycles to be running 60:1, even in high revving 60cc 2 stroke racing engines with long service intervals and no undue wear of the internal engine parts being found. Some of the competition trial bikes are running 100:1 and are surviving long days of having their necks stretched, again with no undue effects of low lubrication. These additives are still the minority in an oil blend that is created from ultra-high quality base crude oils that still make up the bulk of the volume of oil. 100% synthetic does not indicate that the oil in this bottle is made totally in a beacon in a science lad. This is justifiable by the fact that many of the manufactures are offering 2 stroke oil blends with a percentage of castor oil for extra cling on those long straights. The choice of oil in the market place is in abundance but one thing is for sure is the quality of the upper end product has changed. The emission requirements from different countries is now a major player for the 2 stroke manufacturing industry as a hole thus the collaborations between engineering and oil science is congenial to the building of the modern 2 stroke engine and its high performance engineering and inclusions. There’s a lot of opinion on the subject of oils & oil ratios so when asking the question try and consider the engine dynamics of the modern 2 stoke engine and human psyche and its sometimes defiance of the facts of modern engineering and marketing. What makes synthetic two-stroke oil different? Petroleum-based 2-stroke oil is “natural” in that it is made from fossil fuels – many 2-stroke enthusiasts refer to it as dino oil. While it provides adequate lubrication to the engine while it’s running, and aids in appropriate combustion, petroleum-based oil also leaves behind significantly more deposits than synthetic oils. Deposits range from gummy build up in valves to grimy deposits on spark plugs. Additionally, petroleum-based products have higher emissions than their synthetic counterparts. This is partially caused by the need for richer mixtures, because petroleum-based products have solvents to provide miscibility—the ability to mix with gasoline and solvents are not lubricants. 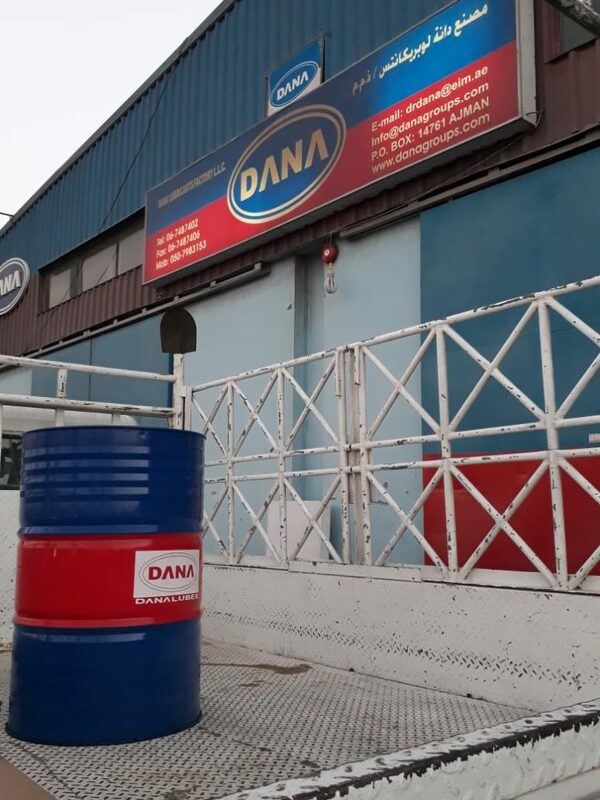 Synthetic 2-stroke oil products have lower deposits and emissions largely to having lower ash content, and some, like DANALUBES recommend leaner mixtures (so you use less). For these reasons, a number of manufacturers now recommend synthetic oil for 2-stroke engine use. 2T Engine Oil is recommended for lubrication of scooters, autorickshaws, motorcycles and mopeds operating on two stroke engines. The recommended dosage is 20 ml of oil per liter of petrol. Additionally, you will be able to rest easier knowing that you’ve taken a proactive step toward maintaining your motor for the long term.